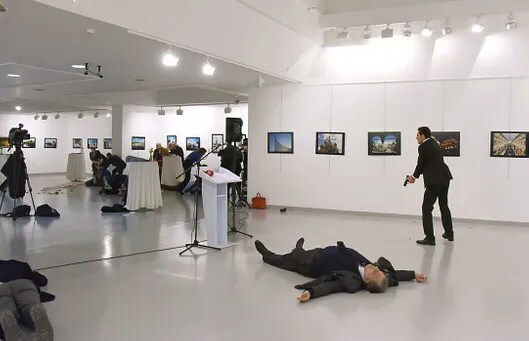 I’ve never seen anything like the photographs of the assassination of the Russian ambassador at an art gallery in Ankara, Turkey. 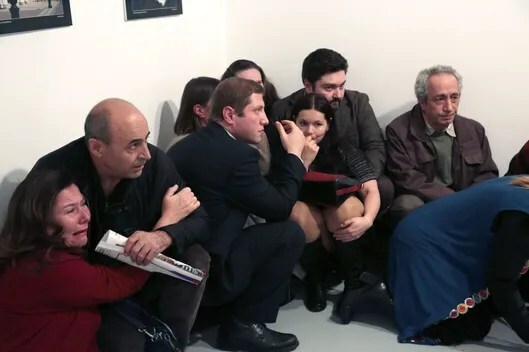 A pathological act of bloodletting, terrorism, nationalism, a state of political siege. 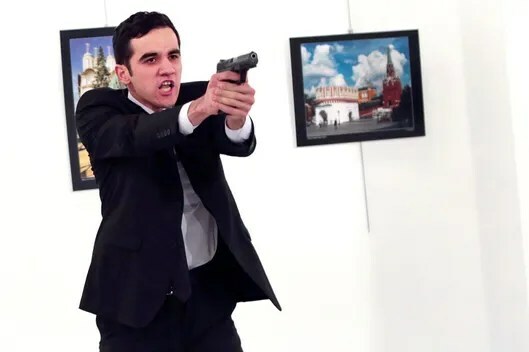 But in the stark white, pristine setting of an upscale art gallery showing contemporary art, with patrons, assassin, and victim all dressed in elegant black, the photographs themselves look strikingly surreal — uncanny, even — and, in some very painful ways, beautiful. What makes these pictures so different from all of the other pictures of death that we see? The poses are almost classical, frozen, or rehearsed as if from theater, ballet, painting, or mannequin display. If I told you these were fake, you might believe me. 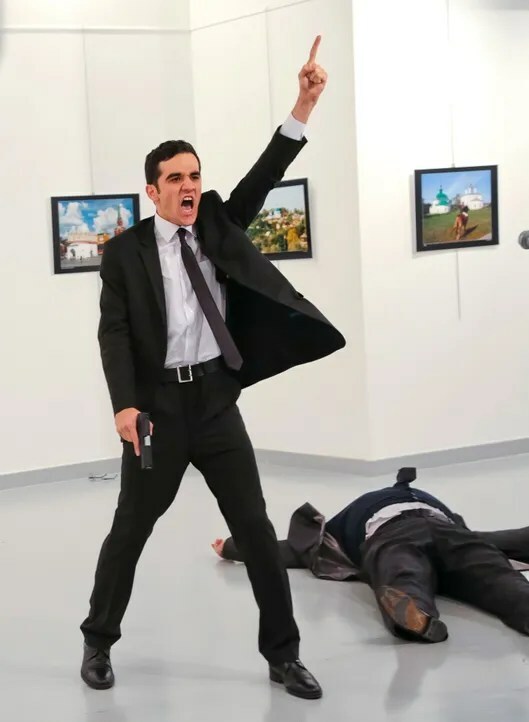 As Kurt Andersen put it on Twitter, “the great photojournalism of 2016 is continuing to resemble stills from a scary, not-entirely-realistic movie” — and that strange familiarity we feel in looking at the images is one reason they are so uncomfortable to contemplate. Everything in the images is emotion articulated, caught, performed, and real. All of this triggers an unreal internal visual dance. It’s a new surrealism of modern life, made all the more harrowing because it could not be more truly real. In this image, frozen perpetual motion — an entire scene of action and worldview is caught in an instant. Notice the picture is in perfect focus. This is not the shaky, out-of-focus, ill-framed onlooker iPhone shot of assassinations and revolutions past. This is a pro, someone there on assignment — in a dark irony, on assignment to cover an art party. 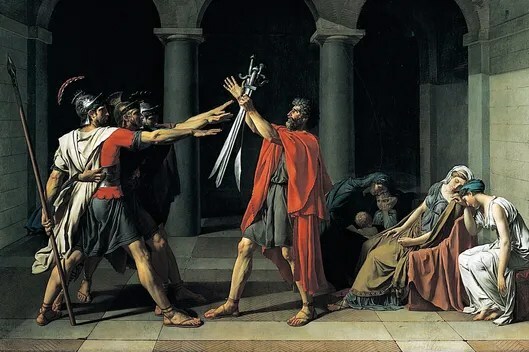 And the setting is surely an element of the image’s strangeness — again, it feels both quotidian and “staged.” The gallery lighting balances and color-corrects everything, theatricalizes it all the more, making the action that much more striking. Look close and notice the key factor: This picture is taken from eye level. The photographer isn’t running away, hiding, in another room or in a crouch. Whether cravenly or by instinct, the photographer immediately reacted, moved into the action from almost straight on and framed the picture perfectly. He or she values frontality, clarity, structure, density, form. This is far from an accidental image. This is a radically self-determined picture, instantly polemical, powerfully formal. Sıradaki Yazı Leke Testi Yapan Psikiyatrist Rorschach, Türk Kahvesinden mi Esinlendi?